You can create a group for all your smart devices and control them all in one command. the color temperature of the light is from 2000k to 9000k. No hub required, work great with Alexa and Google Home, so that you can easily control your lights with just your voice. With a timer function, it can be set up to switch on with your favorite light in a morning when your normal alarm goes off. It has a remote control function, controlled by an app-Tuya(free) on your phone(Android 4.1 above and iOS 8.0 above ). So you never need to get out of warm bed or seat to turn off the light. 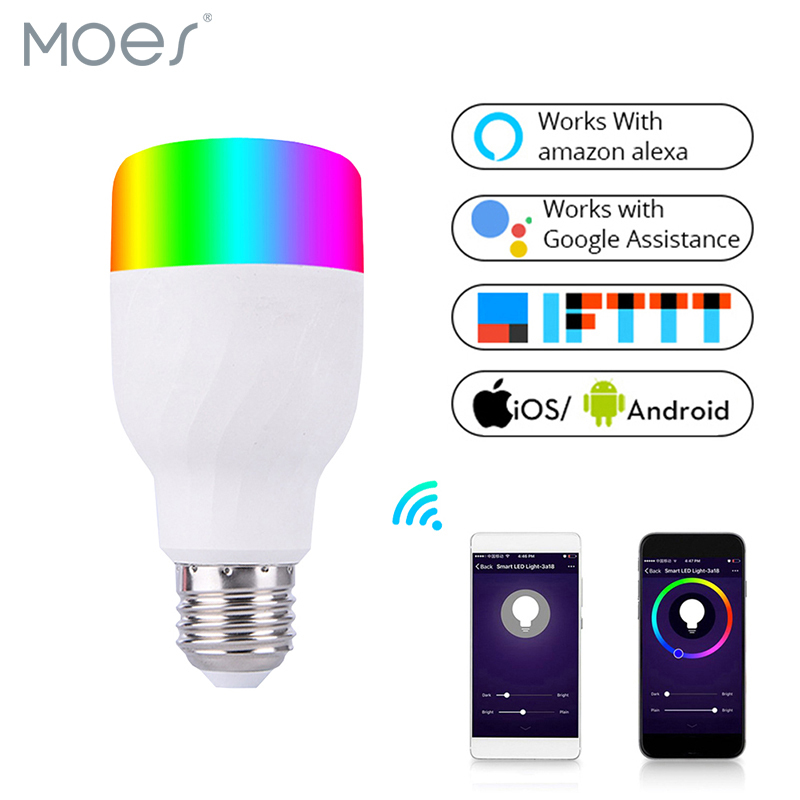 It can be widely used in kitchen, living room, bedroom, study and floor lamps, pendant fixtures or ceiling fixtures, giving you a special smart home. A variety of colors for you to choose, 14W Equal to 100W, 240 degree lighting, 1380lm, 132mm*65mm, only supports WLAN in 2.4GHZ.